Your biggest challenge in getting seeds to germinate is to create the best circumstances possible to help them along. That means eliminating any variables that inhibit sprouting. Use these tomato growing tips to maximize your germination conditions. Tip #1: Choose your germination spot wisely. New growers may be tempted to start seedlings in a cool, damp basement or drafty upstairs room. Even with growing lights, these environments are not your best bet. Humidity and low temps are the perfect breeding ground for fungi and bacteria – particularly the fungi responsible for damping off. Inadequate heat and drafts can slow germination. Pick a spot to start your seeds that has balanced humidity and good air circulation. Tip #2: Start clean. Use quality, sterile potting mix to start your seedlings. Garden soil is packed with bacteria and fungi that prey on tomato seeds and seedlings. Don’t use it. While choosing a potting mix, select one with a neutral pH. Acid soils are ideal for fungus growth – something you want to avoid. Make sure containers are clean. It’s OK if they’re used. Just wash them thoroughly and sterilize them before filling them with potting mix. Tip #3: Plant sparingly. Sow just one or two seeds per cell to give them breathing room to sprout. Tip #4: Sprinkle soil surfaces. Spread a thin layer of sand, perlite, or sphagnum peat moss on the surface of the soil to discourage fungi and bacteria. Sand and perlite keep the stems dry at the soil surface where damping off occurs. Peat moss has anti-bacterial qualities. Tip #5: Check labels. Wooden popsicle sticks are easily infected. When used to label tomato seedlings, they are susceptible to bacteria and fungus. Discourage the spread of disease by using plastic labeling sticks. Once seedlings emerge, the biggest challenge is disease – primarily fungal problems related to damping off. Affected seedlings looked pinched, flop over, wither, or appear cut off at the soil surface. Most die quickly. Once the fungus has taken hold, it is usually quick-spreading and fatal. Damping off often impacts an entire flat. Use these tomato growing tips to prevent damping off and other diseases in your new tomato seedlings. Tip #1: Thin seedlings. When seedlings are crowded, stems and leaves don’t dry quickly. They retain moisture and promote humid conditions – the perfect environment for nasty germs to thrive and attack plants. When seedlings emerge, let the strongest one grow. Pluck out extras with your fingers or tweezers. Tip #2: Keep air moving. Humid, stagnant air creates an ideal environment for fungi and bacteria to flourish. When starting seedlings, prop the top of the seed-starting tray up a few inches to allow air to flow. Or punch holes in the plastic cover. Once seedlings emerge, place an electric fan near the tray and set it on a gentle breeze. Air circulation discourages bacteria and fungi. Tip #3: Don’t overwater. Too much water fills the air pockets in potting soil and chokes new roots. Tip #4: Water from below. Wet foliage encourages bacteria and fungi. Do everything you can to prevent stems and leaves from getting wet. Once seedlings emerge, stop misting soil surface. Instead, pour water into the seedling tray. Let plants absorb water. Watering from below strengthens a tomato plant’s root system, too. Tip #5: Monitor surfaces. When white mold or other fluffy growth appears on plants, markers, pots, or the soil surface, separate those containers from the rest of your crop. This way you have a chance to protect unaffected plants. Meanwhile, destroy infected plants. Do not reuse the affected potting mix. Disinfect containers with a bleach solution before replanting new seeds. 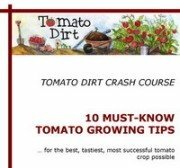 Tomato seeds: when should you start them? 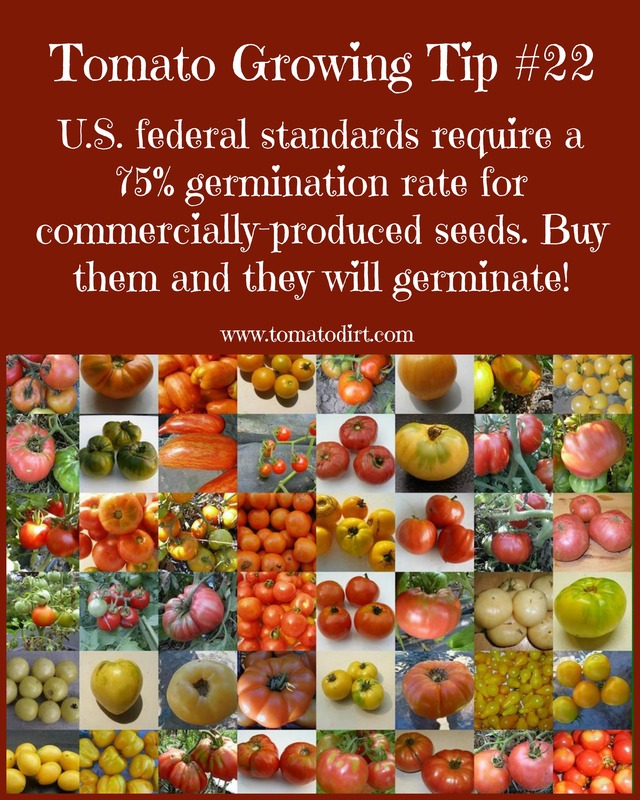 What do tomato seeds need after they germinate?